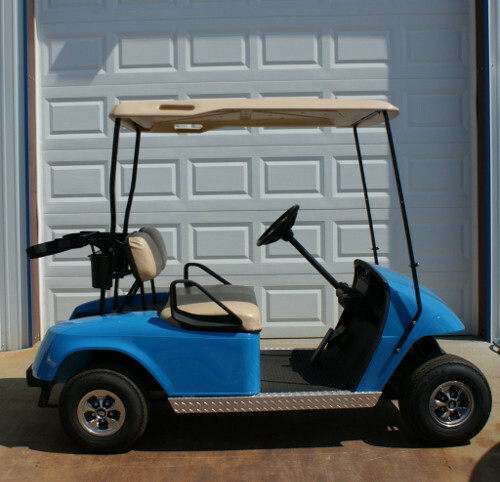 *SOLD**SOLD*2004 ELE PDS GOLF CAR. CUSTOM BLUE PAINTED BODY. TAN SEAT AND TOP. CHARGER INCLUDED. NEW TIRES. KEYSTONE WHEELCOVERS. DIAMOND PLATE ROCKER PANELS.